The churchyard surrounds the church on all sides and covers an area of 0.3 hectares (0.7 acres). 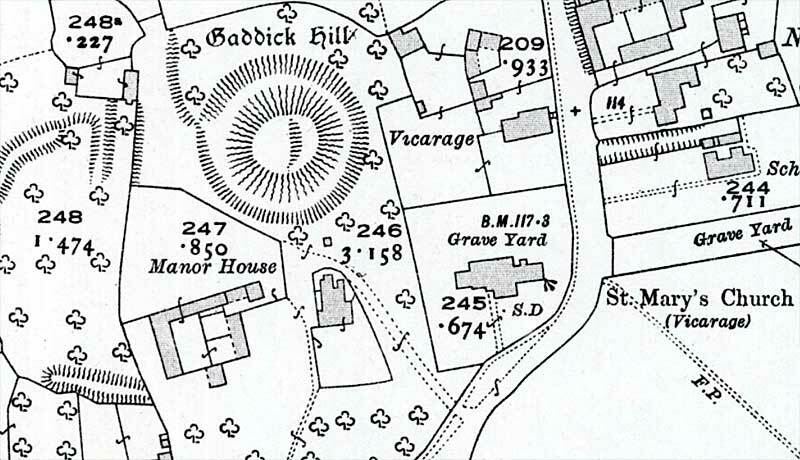 The churchyard is irregular in shape; to the north and west are straight boundaries with the adjoining properties, but to the east and south the boundaries follow a curving line along the road. The church is positioned towards the south with burials on all sides. To the north-west is a motte-and-bailey castle probably of 11th century date and it is entirely possible that the churchyard occupies part of the outer bailey of this castle. 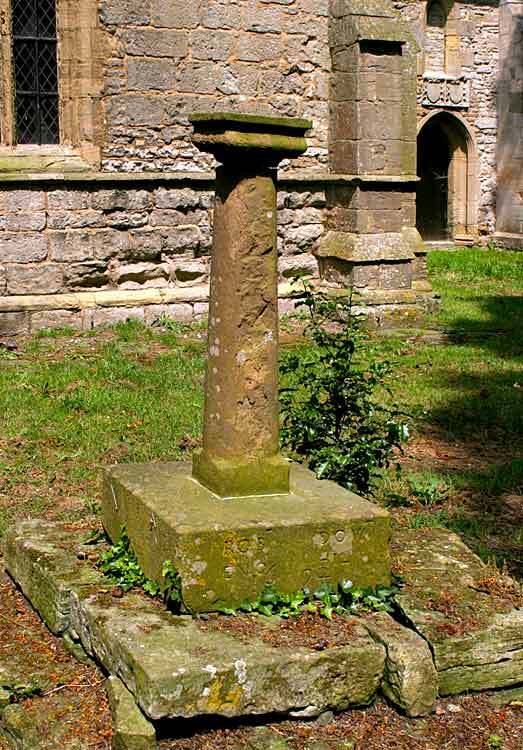 The World War I war memorial is also located in the churchyard, near the east window.